As seasons change the ways to care for your hair health and vitality also change, due to the variation in temperature and other weather factors that can be harmful for your hair and skin such as sun rays, humidity and sweating. Therefore, it is important to follow some useful advices to aid protection against those factors. Here are some of the most important advices to protect your hair during the summer season. Ultra-violate rays emitted from the sun is dangerous to the health of your hair and skin. They cause dryness and breakage to your hair and make it lose its vitality and shininess. Therefore, you are strongly advised to cover your hair with a headscarf or a hat or by holding an umbrella when you go out under the direct burning sun rays. High temperature and direct sun light dryness and breakage to your hair ends during the summer. To avoid damaging the entire hair strands you are strongly advised to treat the affected hair ends by using special shampoos and hair cosmetics. It is advised to stay away from chemical based hair treatments such as hair dyes and whitening products during the summer as your hair get subjected to many harming factors during this season. Hair brushing helps increasing blood circulation in the scalp enabling blood to reach the roots of the hair. The longer your hair is the larger the brush you should use and avoid by all means brushing your hair when it is still wet as doing so cause hair ends breakage and hair loss. Beauty experts warn against hair styles that rely on tying the hair tightly as this cause the hair to lose its vitality and softness and prevent it from breathing fresh air. Apply a layer of hair moisturising cream prior to swimming in swimming pools or in the salty water of the sea because such water damage your hair and dry its ends. Use hair sun blocker to prevent your scalp from drying by the direct burning sun rays. However, only use lite cream to avoid letting your hair become greasy in unpleasant way. If you dyed your hair, you are strongly advised to use protection mist for dyed hair to prolong the life of your hair colour and to protect it from getting affected by water and sun rays. Use water proof hair styling cosmetics to work as an extra protecting layer covering each hair strand from being subject to direct water. In order to solve hair humidity and sweating problem you need to choose a lite moisturising cream (not concentrated nor heavy as there are types of creams that have lesser amounts of oil and have more of a watery structure and not oily or creamy) and you have to apply it in a certain way as per the instructions and to apply it starting from half of the way of your hair tell its ends avoiding the hair follicles and the scalp. And if your hair have a greasy nature to it we advise you to dye it in the summer to absorb the extra oils in its new status as a dyed hair. If you have a dry or curly hair we advise you to rely on effective hair moisturisers and visiting your beauty salon a number of times to have moisturising and hair strengthening sessions using recipes based on natural ingredients as sometimes hair moisturising alone does not show the desired results. Hair breakage and dryness due to being subject to chlorine found in water is the most common problem that women face during the summer. To treat this problem you need to wash your hair with shampoo on a regular basis, especially after getting out of water to get rid of any chemicals that were trapped to your hair during the swimming session. 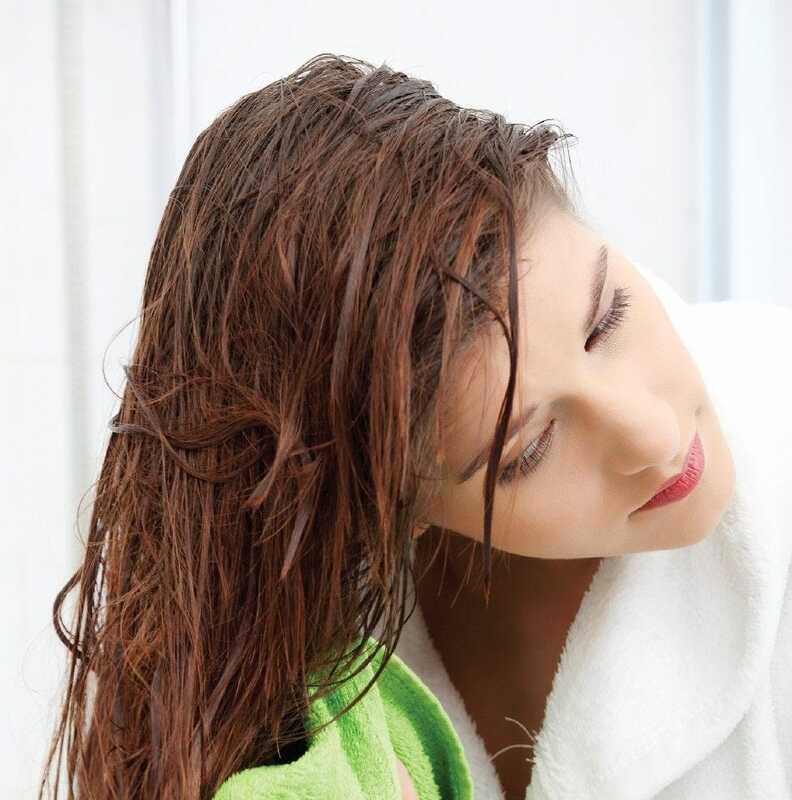 Massage your scalp with the shampoo, this is the key to get healthy hair. That is to say, you have to keep the roots away from chemicals before you keep it away from the roots. Avoid hair styles that depends on straightening the hair as much as possible and substitute them with simple hair styles such as the bony tail or the braid as straight hair becomes clumpy when it is subjected to water and dried respectively. And during the high humidity days use the curly hair style. However, if your hair is naturally curly you it would be enough to apply a lite layer of gel to make it look fresh and healthy.